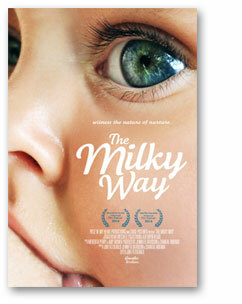 The Milky Way is an eye-opening documentary about breastfeeding and an expose’ of the pervasive formula marketing in America. The U.S. has one of the lowest breastfeeding rates in the world; the simple act of nursing a baby elicits a broad range of reactions, especially when done in public. We show how women can reclaim their birthright and return the nursing mother to her natural and crucial role in our society. We seek to bring back the community of mothers and change the way women support each other. More than a breastfeeding promotion film, this is a film by, for, and about women. Women’s stories, leading lactation professionals, archival footage, religious iconography, and formula advertisements show how mothers’ authority was co-opted by medical professionals, and how they have been pressured to forfeit their nourishing breasts in favor of highly sexualized breasts. Watch the trailer. 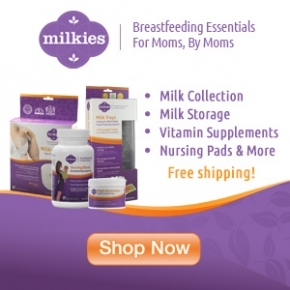 “The Milky Way” features a number of breastfeeding advocates and celebrity moms including: Alanis Morisette (“City of Angels,” “Dogma”), Carrie-Anne Moss (“The Matrix,” “Memento”), Minnie Driver (“Good Will Hunting,” “About A Boy”), Kristy Hume (“America’s Next Top Model”), Rachel Luttrell (“Stargate: Atlantis”), and model Justine Pasek (“Miss Universe 2002”); advocates/experts Dr. Jay Gordon, and Dr. James McKenna, etc., directed by Jon Fitzgerald (“The Back Nine,” “The Highest Pass”) and produced by first time feature filmmakers and topic experts Chantal Molnar RN, MA, IBCLC & Jennifer Davidson RN BSN IBLC.